Database Systems Corp. is a leading provider of computer telephony integration products including CTI software and phone systems. DSC also offers outsourcing services that employ our award winning CTI technology. The handling of Screen Pops using our CTI software is just one of the many features included with our software and phone systems. DSC offers comprehensive computer telephony software that includes a robust set of library routines that enable your application programs to communicate with our phone systems. This is accomplished by combining the capabilities of our phone system with the custom functionality of your Windows, Unix or Web applications. DSC maintains two distinct computer telephony phones - the PACER digital and WIZARD analog phone systems. Data collected by our ACD (Automatic Call Distribution) or IVR (Interactive Voice Response) systems can be passed to your existing PC, Unix or Web applications through our telephony software and perform what is commonly referred to as a screen pop. 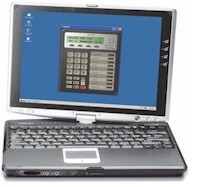 Contact DSC to learn more about our computer telephony software that includes screen pop capability. For a complete list of other call processing features, please visit our phone system features web page. There are several definitions of "Screen Pop" found within our industry. One definition refers to a screen pop as simply the "population" of caller information on a call agent's computer screen during the processing of a phone call. This can occur while answering an incoming call or during the processing of an outbound phone call. A second definition describes the fact that caller information appears to "pop up" on the agent's screen when a call is processed. Both definitions are accurate descriptions of "screen pop". How Does Screen Pop Work? Computer telephony is the integration and coordination between a phone system and a computer that maintains call information and agent management processes. Since screen pop can occur during the handling of both inbound calls as well as the outbound dialing of phone calls, lets review both. Outbound Call Screen Pop - This requires the coordination between the phone dialer and the agent desktop computer. Outbound calls can be initiated either by the agent or by the phone system. In either case, information about the call being dialed by the phone system is displayed on the agent's window prior to or during the calling process. This information generally includes the call recipient's name and other relevant information for the agent such as purpose of the call, etc. Inbound Call Screen Pop - Again, coordination is required between the phone and the agent. When a call is received and the caller's phone number is obtained by the phone system, this number (ANI or Caller ID) is used by a computer to lookup the caller name and other relevant information that may be stored on the computer. If Caller ID is not available or the desired method of identification, an IVR (Interactive Voice Response) may be active on the phone system that prompts the caller to enter an ID source such as account number. This in turn is passed to the computer system for lookup and information is displayed on the agent's desktop regarding the caller. Both of these types of screen pop are handled effectively by our CTI software and our CTI enabled phone systems. PC/WEB application control - Our CTI software can launch specific PC, Unix or Web applications based upon information supplied by our computer telephony phone system. Caller identification (Caller ID or ANI) - Using our CTI software, data collected from your existing caller database appears on-screen when your telephone rings and remains on the screen during the call. Called number identification (DNIS) - With each call, special campaign information can be displayed from the application based upon the number dialed by the caller. IVR collected information - Vital information collected by your phone system from the caller can be passed to your application by our telephony software. Our computer telephony integration software manages this process and free agents to be more productive. Voice Broadcast - Our computer telephony software manages the process of delivering messages to large numbers of individuals in your customer base or community. 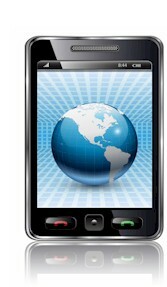 Phone lists are processes by our software and submitted to our auto dialer for broadcasting. "Press Through" campaigns can be developed to pass called individuals to your service representatives. Auto Dialer - You may point and click any phone number in your computer database or Softphone. Your telephone then dials the call - a must for maximizing the productivity of outbound telemarketing or call center service desks. Predictive Dialer - To further increase the productivity of your call center, calls can be launched from our computer telephony dialer and connected to your agents using our telephony software. Online Reports - Database Systems Corp CTI includes a comprehensive online reporting system plus the ability to customize reports and graphs to your specific needs through our computer telephony software. Contact DSC to learn more about our computer telephony software products including our screen pop feature.